"The continental collision between the Indian and Asian tectonic plates shaped the landscape of East Asia, producing some of the deadliest earthquakes in the world," said Xiaodong Song, a geology professor at the University of Illinois and co-author of the new study. "However, the vast high plateau is largely inaccessible to geological and geophysical studies." Song and his colleagues reveal that the upper mantle layer of the Indian tectonic plate appears to be torn into four pieces that dive under Asia—each at a different angle and distance from the origin of the tear. "The presence of these tears helps give a unified explanation as to why mantle-deep earthquakes occur in some parts of southern and central Tibet and not others," Song said. 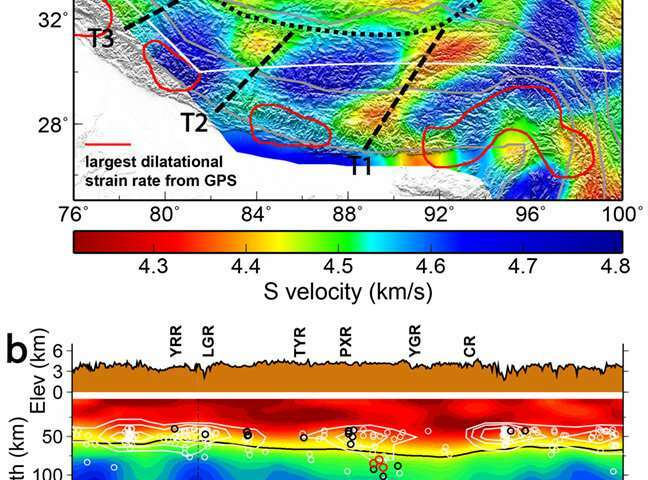 "What were previously thought of as unusual locations for some of the intercontinental earthquakes in the southern Tibetan Plateau seem to make more sense now after looking at this model," said graduate student and co-author Jiangtao Li. "There is a striking correlation with the location of the earthquakes and the orientation of the fragmented Indian upper mantle." 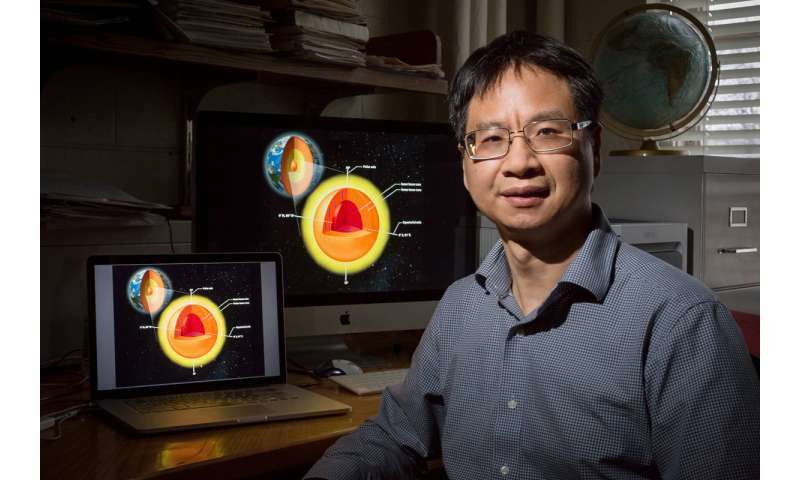 "Overall, our new research suggests that we need to take a deeper view to understand the Himalayan-Tibetan continental deformation and evolution," Song said.